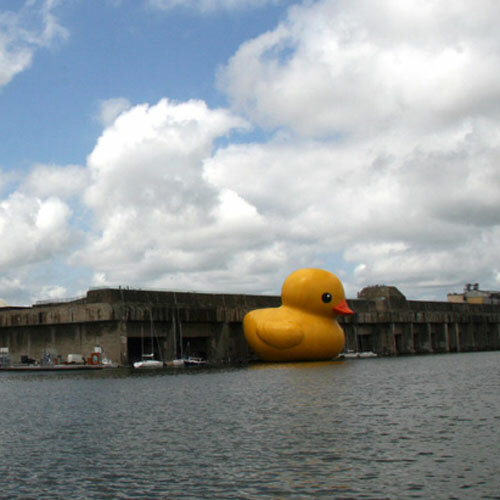 Loire Estuary is an outdoor, contemporary-art exhibition in France featuring works by 30 artists from around the world. 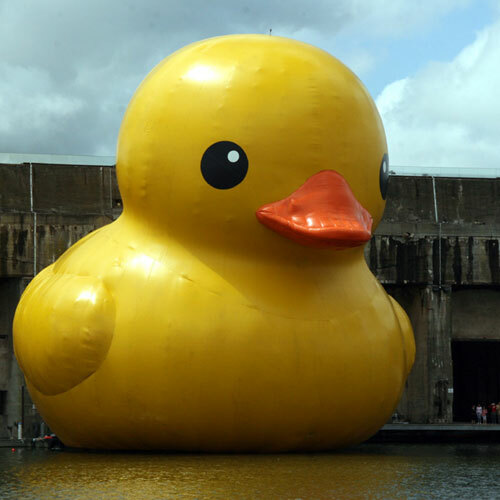 Their creations have been installed along a 40-mile corridor at the mouth of the Loire River, stretching from Saint-Nazaire, on France's Atlantic coast, to Nantes, which lies inland. 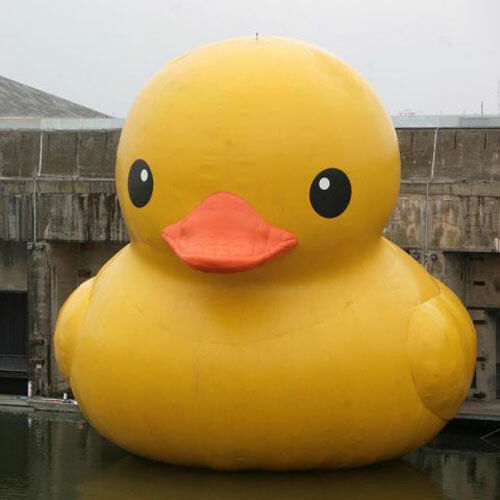 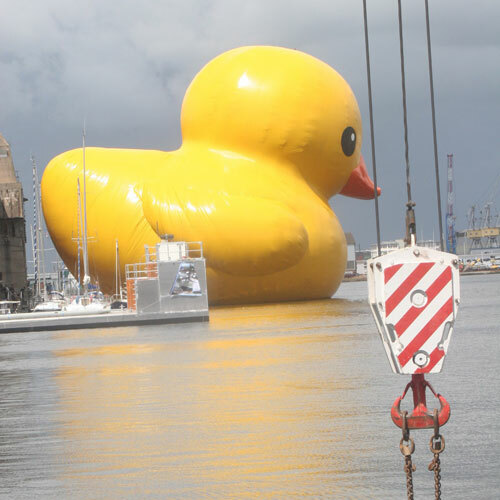 Last year Dutch artist Florentijn Hofman presented his project "Canard De Bain," a giant rubber duckie. 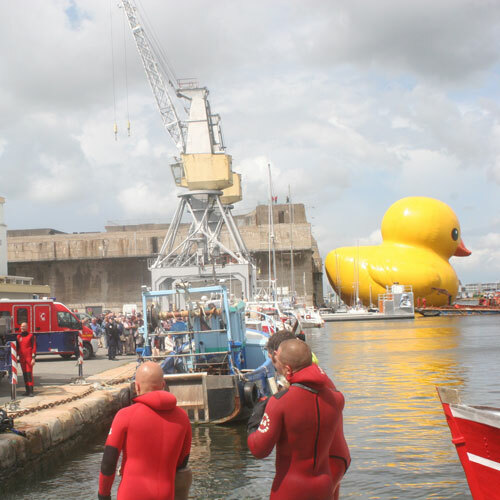 After wrestling with some air-inflating problems, his 105-foot-tall, 85-foot-wide rubber duck finally took to the sea. 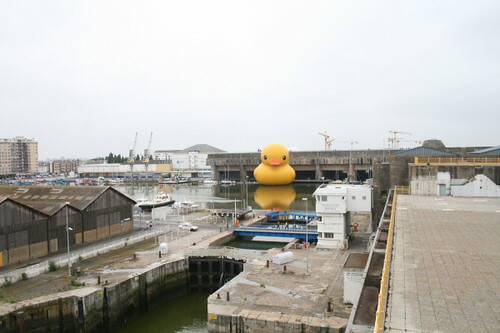 Visit Loire Estuary's website for more information.